Supermarket ecommerce is an exceptional WordPress theme and if you are interested to do great business by opening a supermarket store, this is the exceptional choice and because of its multipurpose nature, you can sell anything under the sun when it comes to retail stores. This particular theme is of immense benefit in case you are interested in opening up an online apparel and fashion accessories store. It is good for not only the cosmetics shops but also for the sports equipment shop, a jewelry store or the mobile store. With supermarket eCommerce WordPress theme you can set up the online store for grocery or the food delivery. It has almost all the right features that can take your business across boundaries and you can display all the relevant business information and do the entire product sale online. 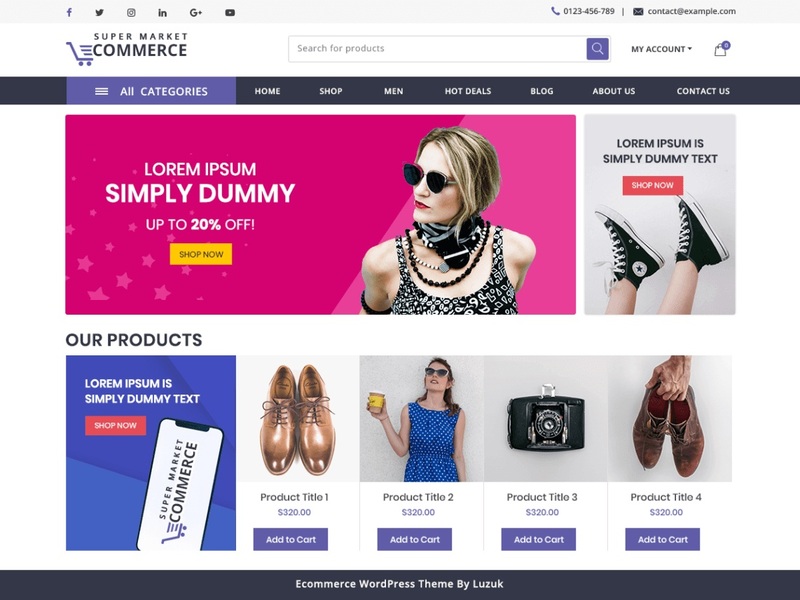 Because of its core compatibility with the WooCommerce plugin, it has a special design for the shops a well as ecommerce sites and you can open all types of stores right from fashion to technology and the ultimate credit goes to its multipurpose, minimal and elegant features apart from being responsive as well as sophisticated. Above all, it is a beautiful and responsive feature makes it adjustable with various screen sizes.